This was not the way anyone thought that this series would go. Detroit’s hitters would feast on Giants pitching that had not been as dominant as it has in years past and the weak hitting Giants would knuckled under beneath the Tigers’ starting pitching. 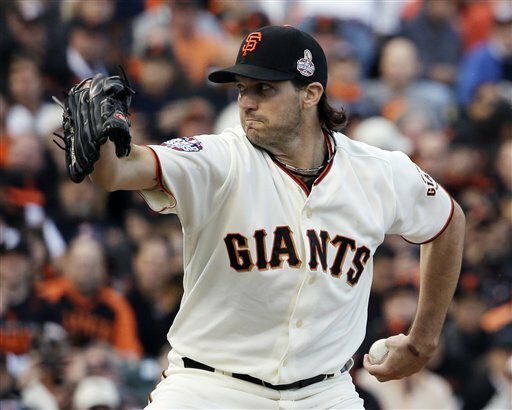 No one expected that the Giants would score 8 runs in game, plastering Justin Verlander or that Barry Zito would dominate. Nor did anyone think that Madison Bumgarner who had struggled in the playoffs would do the same. 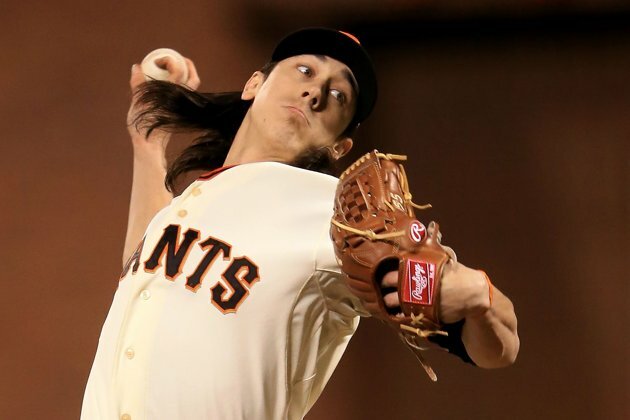 Then there was Tim Lincecum coming out of the bullpen to dominate the mid to late innings when needed, finally Ryan Vogelsong pitched his way out of trouble on a number of occasions to get the win in Game 3. 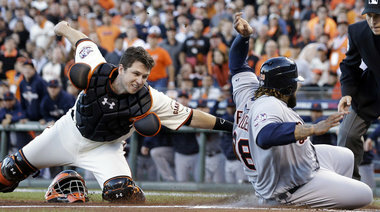 No one expected that the Tigers could not beat a Giants team that only scored 2 runs each in Game 2 and Game 3, but they were shut out in those games. 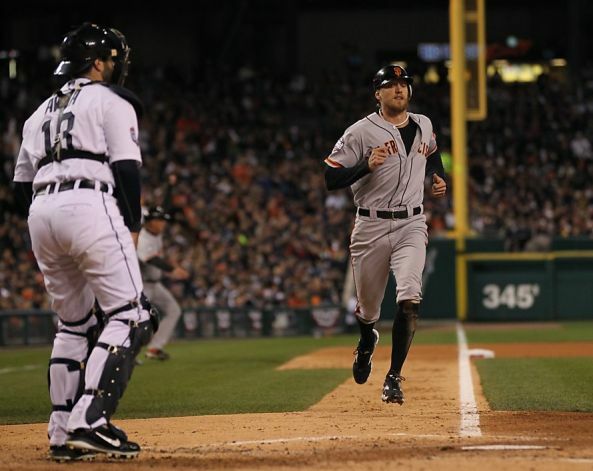 The Giants have held the Tigers to just 7 hits in the last 18 innings and just one extra base hit, that in the first inning of Game 2. 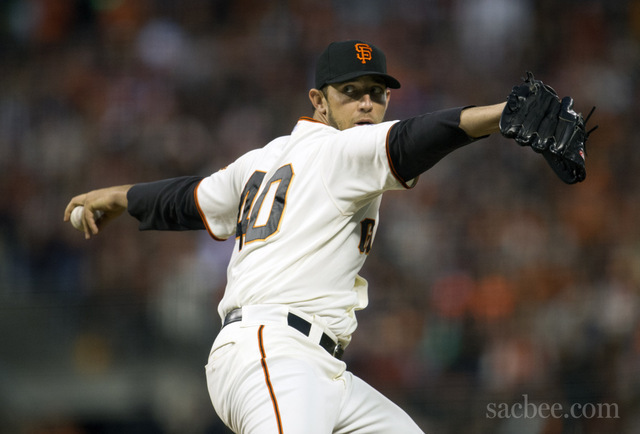 Sergio Romo has come into his own in the closer role getting saves in each of the last two games. The Giants pitching has been superb but then there is the Panda. 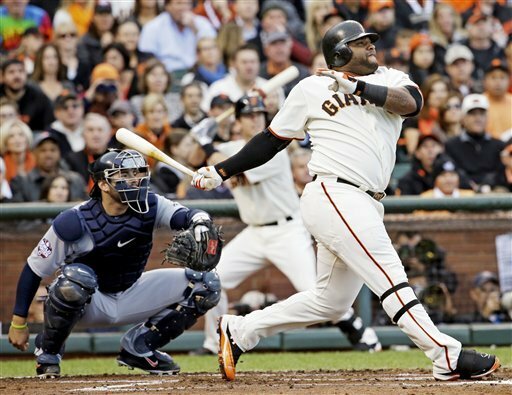 Pablo Sandoval who is hitting .636 with three home runs in the World Series and has 23 hits in the post season including 6 home runs and 5 doubles and 13 RBI. Other Giants have come up when they needed to in clutch situations but the Panda has been outstanding at the plate and at 3rd base. Then there are the fundamentals. Defense, small ball and base running. 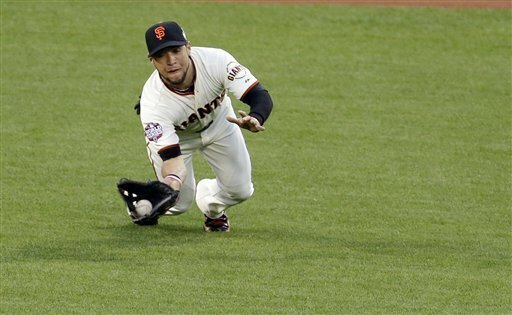 The Giants have done both well, only one error in the first three games that almost was an out. Gregor Blanco in Left Field has had an amazing defensive series robbing Detroit hitters of what looked to be sure hits at key junctures. 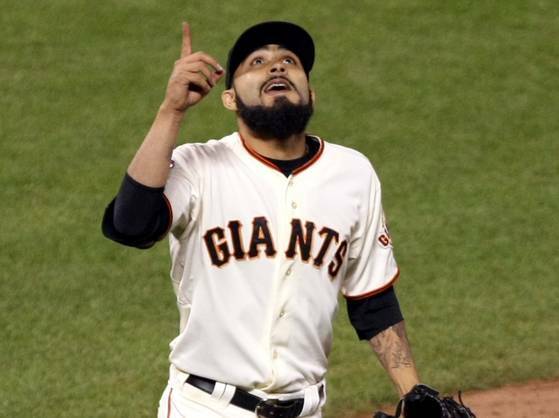 So the Giants now stand one victory away from their second World Series title since 2010. No team has ever come back from a 3-0 deficit in the World Series. Yes anything can happen in baseball and the Tigers are an excellent team, but right now they seem totally out of sync at the plate and could not support excellent outings by Doug Fister and Anibal Sanchez. Sunday Matt Cain will face Max Scherzer in Game 4. 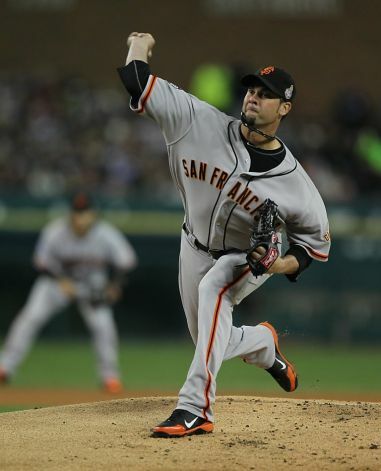 Cain won Game 5 in the NLDS against the Reds and Game 7 against the Cardinals in the NLCS. The possibility of a sweep looms large, something that if it does happen that no one saw coming. Murderers Row went down with a whimper in the American League Championship Series. The mighty New York Yankees who dominated with their bats during the regular season struggled during the entire post season, hitting just .200 in 9 games against the Baltimore Orioles and Detroit Tigers. If it was not for some last inning heroics by Raul Ibanez in Game Three of the ALDS against Baltimore the Yankees might have watched the ALCS from home. However they squeaked by the Orioles in a very tight series but then ran up against the fearsome starting pitching of the Detroit Tigers. Detroit’s starting rotation of Doug Fister, Anibal Sanchez, Justin Verlander and Max Scherzer allowed just 2 on runs in 27.1 innings of work while striking out 25 Yankee batters. Overall the Tigers outscored the Yankees 19-6 in the series and the Yankees never led in any game. Overall the Tigers held the Yankee offense to just 6 runs on 22 hits in the series. Tigers pitchers struck out 39 Yankees and limited the Yankees to a .152 team batting average and 3 home runs, 2 of which came in the 9th inning of game one against closer Jose Valverde. At best the Yankees offense could charitably be described as pathetic and nothing like their regular season performance. Of their regulars only Ichiro Suzuki had a decent series. He hit .353 with a home run but the rest of the line up which struggled against the Orioles completely fell apart against the Tigers. Nick Swisher hit just .250, Mark Teixeira .200, Russell Martin, .143, Alex Rodriguez .111, Robinson Cano .052 and Curtiss Granderson .000. Derek Jeter, the Captain of the Yankees went down with a broken ankle in 12th inning of game 1 hitting 1-5 for a .200 average. The Tigers will now go on to face the winner of the NLCS either the St Louis Cardinals or if they can come back from a 3-1 deficit the San Francisco Giants. The Yankees will go home with a lot more questions than answers. They are showing their age and in light of the poor playoff performance of their hitters I expect big changes will be coming. I expect that a lot of the Yankees problem was their age. Unlike past seasons where they have been able to rest players during the last couple of weeks of the year they were in a dogfight with the Orioles and did not clinch the division until the last day of the season. The long 162 game schedule takes a toll on older players, especially if there is no chance to rest them. Big questions will have to be answered. How will Derek Jeter recover from his surgery? How effective will closer Mariano Rivera be after a year off after being injured in warmups early in the year? What will the Yankees and Alex Rodriguez do with the remaining years of his 10 year contract with its no trade clause? 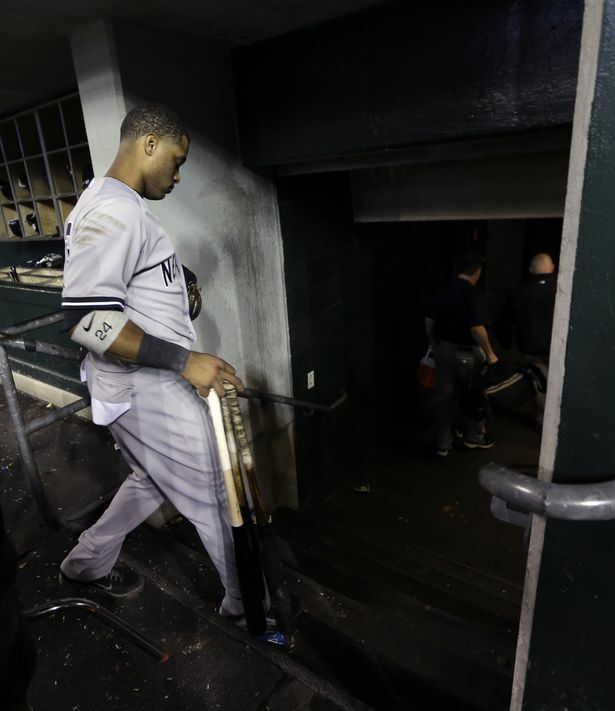 What will become of players like Nick Swisher, Russell Martin, Eric Chavez and Curtiss Granderson? In addition to hitting the Yankees pitching staff is also showing age and had to be bailed out many times in the regular season by great hitting. Yes the Yankees have a lot of money to throw at problems but it has been a long time since they have had to deal with the possibility of wholesale changes to their line up. This should make the American League East a very interesting race in 2013 since the Red Sox will also be rebuilding after a disastrous season. The issues that the Yankees and Red Sox are facing are large and 2013 AL East could come down to a race between the Orioles and the Tampa Bay Rays. The Tigers who were the overwhelming favorites to win the AL Central before the season struggled but came on strong in the last month of the season to overtake the surprising Chicago White Sox. Their surge was very timely, it allowed the to defeat the Oakland Athletics in 5 games and then send the Yankees home in a most convincing manner. 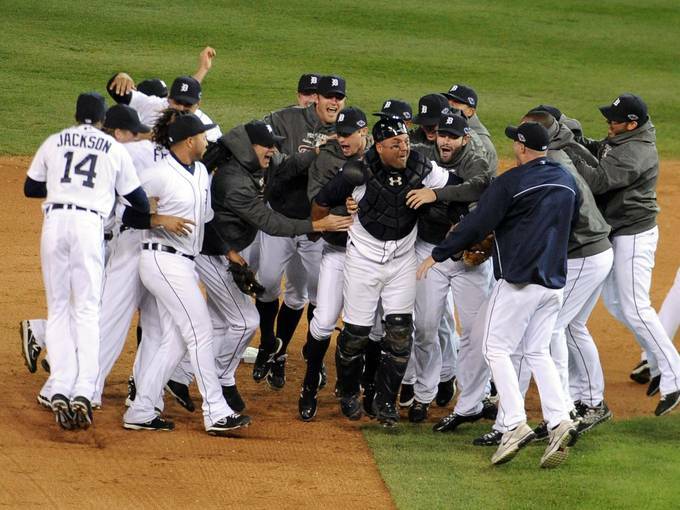 Congratulations to the American League Champion Detroit Tigers.